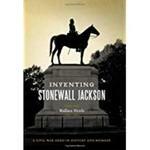 Hettle, Wallace, "Inventing Stonewall Jackson: A Civil War Hero in History and Memory" (2011). Faculty Book Gallery. 462.